Whether you’ve been to Vermont or not, you probably already know a few things about the state and the people who live here. We’re pretty green: geographically and philosophically. We’re warm, laid-back and proud of our home. We love our outdoors and we’re always happy to show out-of-towners around. For those of you who haven’t made it up north, we've put together a collection of lesser known facts about our state. 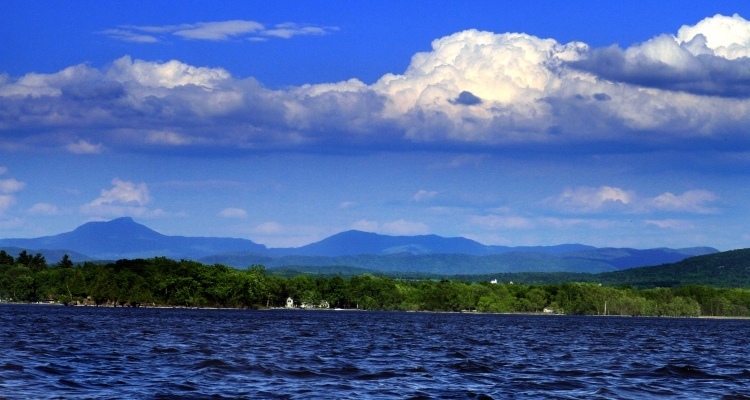 Likely, you already know that our largest lake, Lake Champlain was named by the great French explorer, Samuel de Champlain, when he charted the body of water in 1609. But did you know that he was rumored to have discovered “Champ” on that very same expedition? Champ is the friendly, giant sea creature that makes his home in the depths of the lake. Possibly spotted by Champlain himself, sighted again in the 19th century and allegedly photographed in 1977 by Bristol, VT resident Sandra Mansi, Champ’s notoriety has grown over the years. 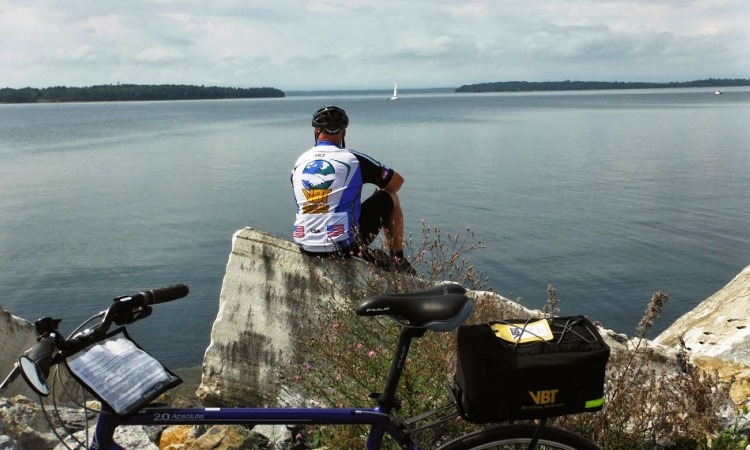 Travelers on both our Vermont: Champlain Valley & Islands & Classic Vermont bike tours will spend a few nights by the lake. Bring your binoculars! The Chazy Reef formation is around 450 million years old and stretches underground from Tennessee to Quebec. 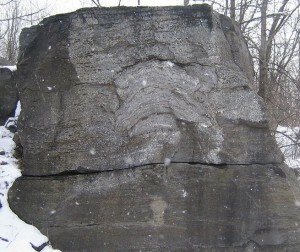 However, one of the best places to see this pre-historic geological formation is at an outcropping on the sleepy island of Isle La Motte, located in the northern reaches of Lake Champlain. Travelers on our Vermont: Champlain Valley & Islands bike tour will get to see some amazing outcrops of the reef during our visit to Fisk Quarry. We have a long history of environmentally conscious farming here in Vermont. Perhaps no estate better exemplifies Vermont’s commitment to responsible agricultural practice than our own, Shelburne Farms. Developed in 1886 by Dr. William Seward and Lila Vanderbilt Webb, Shelburne Farms has consistently paved the way in farming sustainability and innovation. Today, Shelburne Farms is a working farm that is committed to serving and educating its community through agricultural sustainability. 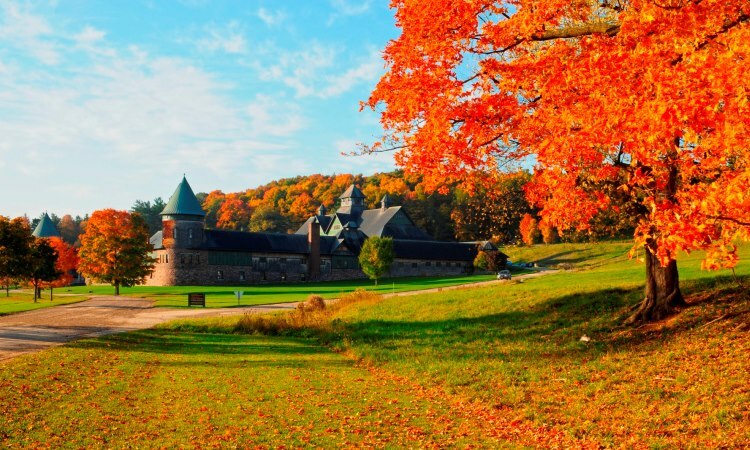 Travelers on our new Walking Vermont: Green Mountain Valleys & Inns tour will spend a morning exploring the spacious grounds including the farm barn, breeding barn, coach barn and the grand Shelburne House overlooking the lake. The fifth of May is a day worth celebrating for a few reasons. Not only is it a day for Cinco de Mayo festivites, it marks an important date in Vermont history, too. On that date in 1978 Ben & Jerry opened their first scoop shop in Burlington, Vermont. The shop was assembled out of a run-down, former gas station. 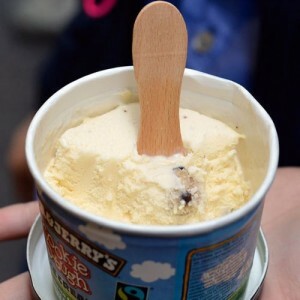 The following year, on their anniversary Ben & Jerry established a delicious tradition – Free Cone Day, now a global event. The date has changed since the original Free Cone Day, but the philosophy has remained the same: at least once a year, ice cream should be free, for everyone to enjoy! Many people know Vermont as our nation’s 14th state. However, before being admitted into the Union, Vermont was its own, independent republic for over a decade. Vermont eventually became a state largely due to the efforts of Revolutionary War hero, Ethan Allen and his Green Mountain Boys. But Allen never saw Vermont actually achieve statehood as he passed about two years before admission in 1791. You can visit the homestead of Ethan Allen if you opt for a pre-trip extension in Burlington on either our Vermont Champlain Valley & Islands or Classic Vermont tours. Only one United States president was born on July 4th, and he also happens to be from Vermont! 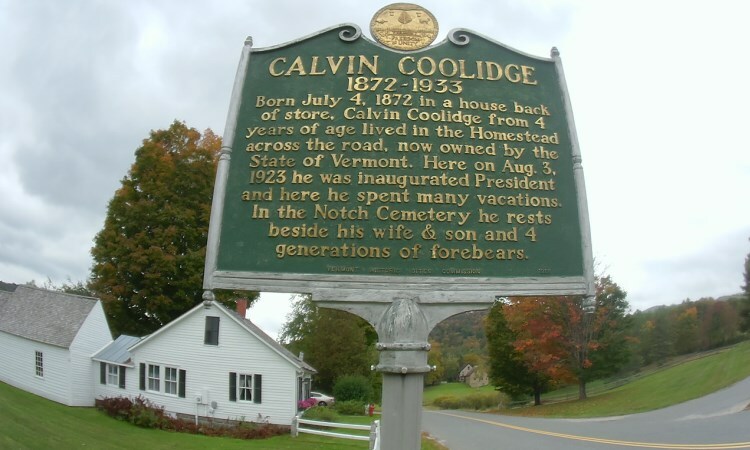 Our nation’s 30th President, Calvin Coolidge, was born—and sworn in—in the bucolic town of Plymouth. Travelers on our Biking Southern Vermont: A New England Idyll tour will visit the Coolidge homestead for a guided tour on day 4. Another famed resident, Maria von Trapp, may have gotten her start in Austria, but she and her family lived in Stowe, Vermont from the 1940’s on. Travelers on our new Walking Vermont: Green Mountain Valleys & Inns will enjoy an afternoon of walking at the Trapp Family lodge and learn about the history of the famed family behind The Sound of Music. With just over half a million residents, Wyoming is the only state in the country with a smaller population than Vermont. That means that you can enjoy walking and hiking on quiet trails and pastoral roads and enjoy the lovely rural setting that defines Vermont. In fact, Vermont has almost 1 cow for every two people—the largest cow to human ratio in the country! What we lack in population, we make up for in elevation. Our tallest Mountain, Mount Mansfield, stands 4,395 feet above sea level. You may have even taken advantage of its peaks, skiing or snowboarding at Stowe in the winter months. Another notable Vermont peak is our third tallest, Camels Hump. It’s best known for its iconic “Two-humped” addition to our skyline. 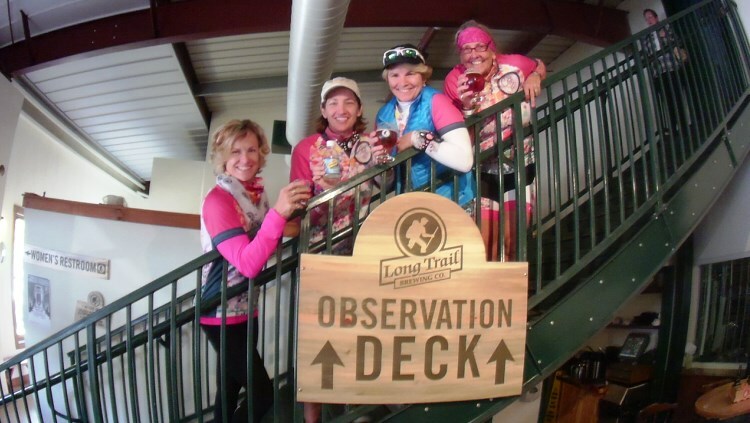 Travelers on our new Walking Vermont: Green Mountain Valleys & Inns will get to view another 4,000 ft. peak, Lincoln Peak, when we visit Sugarbush Resort on day 2. Some say that the booming craft beer movement got its start in Vermont. Home to the largest number of breweries per capita in the US, Vermont also features the #1 rated brewery in the world, Hill Farmstead. Beer aficionados are known to drive for hours simply to purchase a case of the famed Heady Topper or visit some of the states finest tasting rooms. 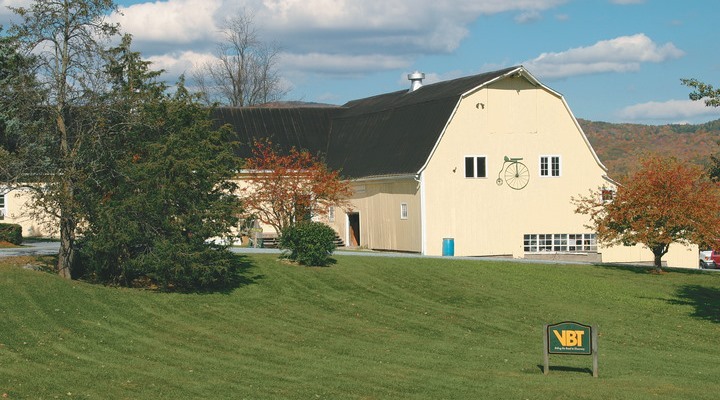 Travelers on our Biking Southern Vermont: A New England Idyll tour will visit one of the earliest craft breweries in Vermont, Long Trail, and sample some of their award-winning beers. 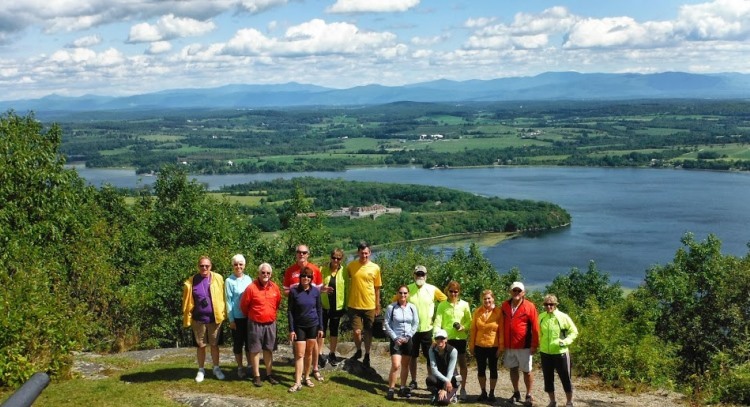 Vermont is home to America’s original and best (in our humble opinion) bike tour company, VBT Bicycling and Walking Vacations. Founded by a Middelbury college professor in 1971, we’ve grown to offer biking and walking vacations through six continents. But we still offer three exciting biking vacations and one walking vacation in our home state! These are just some examples of what you’ll experience on a biking or walking tour in Vermont with VBT. To learn more about VBT’s unique brand of active travel, please click here to request a VBT catalog in either print or digital format. To reserve a vacation or speak with one of our Tour Consultants, please call 800-245-3868 or click here. They are available Monday-Friday from 8:30am to 6:30pm EST and Saturdays from 10:00am to 3:00pm EST.